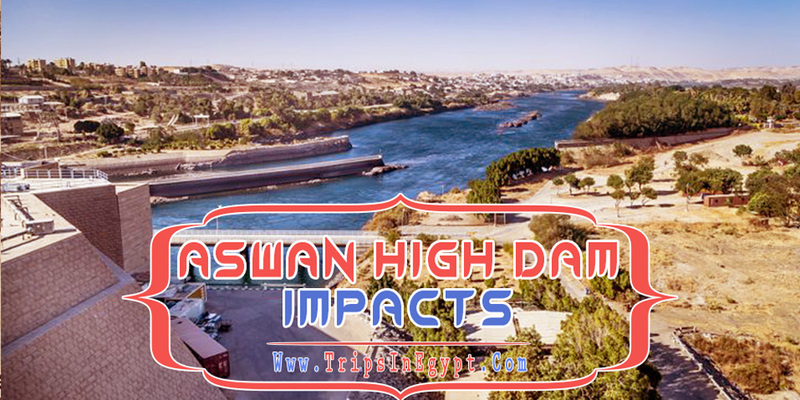 Aswan high dam is considered the most important modern achievements and throughout our article, you’ll get to know everything about that fabulous construction and why it has a lot of significant impacts over the Egyptian society. The Egyptian President “Gamal Abd El-Nasser” was the first one to call for the construction of such an important dam after the revolution of July 1952, but his request was met by several Western refusals. He didn’t give up as he turned to the Soviet Union to ask for help and the result was the construction of such a breathtaking achievement. “Trips in Egypt” provide unforgettable tours to high dam, check it now. Let’s See How The Construction of The Low Dam and What Pushed The Egyptian President to Build the High Dam. The British were the ones who started in constructing the Low Dam which took about 4 years to be built in Aswan from 1898 until 1902. Sir William Willcocks was the one who designed that project with the help of many engineers. But in 1952, Adrian Daninos “the Greek-Egyptian engineer” started a magnificent plan to construct a new dam in Aswan but King Farouq didn’t show any interest to the request. When President Gamal Abd El-Nasser reached the throne of Egypt, the state of Egypt has completely changed and the free officers were convinced that the flood water had to be stored. The idea of the engineer Adrian Daninos was finally accepted and the United States & the Union of the Soviet Socialist Republics got so interested with the building project and wanted to get associated with the building plan. In 1956, the Soviets offered about $1.12 billion at 2% interest for the construction of the dam, which was a truly important stage in building the High Dam. After the Nationalization of the Suez Canal, president Gamal decided to us the revenues of the canal in building the High Dam and after that, the USSR decided to provide the total support in building the High Dam in 1958. Because of the fact that a lot of archeological sites were about to be under the water level just like Abu Simbel & Philae Temples, some rescue and relocation missions started to take place. With the great help of the Soviets in providing great techniques and advanced machines, the construction of the Aswan high dam started in 1960 and ended in 1976. The exceptional Aswan high dam contains 43,000,000 cubic meters of materials and it is about 4,000 meters long & 980m wide at the base and surprisingly about 11,000 cubic meters per second of water can pass through the dam through 180 sluice gates to regulate the flow of water to achieve flood control. 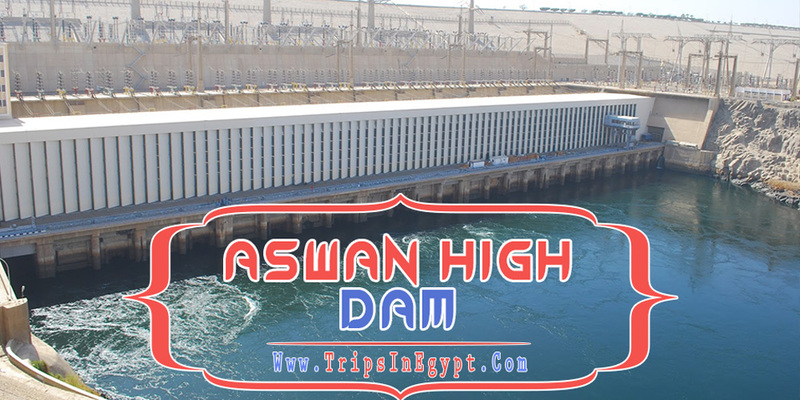 Aswan high dam was a great Egyptian achievement as it helped in producing about a quarter of Egypt’s electricity. It also helps Egypt to avoid the fear of drought which its neighbors face. Egypt was once a desert, but now it has become farmland and the farmers of that farmland are now able to irrigate their fields all around the year. After the construction of the High Dam, it has been the first time in the history of mankind to control the annual Nile flood. It is not all about the High Dam as it also improved the navigation system above and below Aswan. The construction of the High Dam has great effects over the social life in Egypt. It provided a lot of employment chances for the majority of the Egyptians which resulted in the improvement of the social state in Egypt. During the construction of such a terrific dam, more than 90.000 Nubians had to leave their houses for more than 45 km away from their homes. It has contributed more than half of the country’s total power supply. 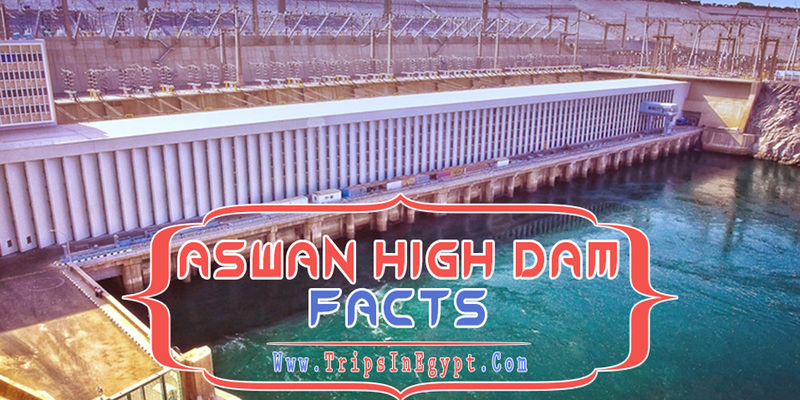 Aswan high dam generates more than 10 billion kilowatts per hour of hydroelectric power. 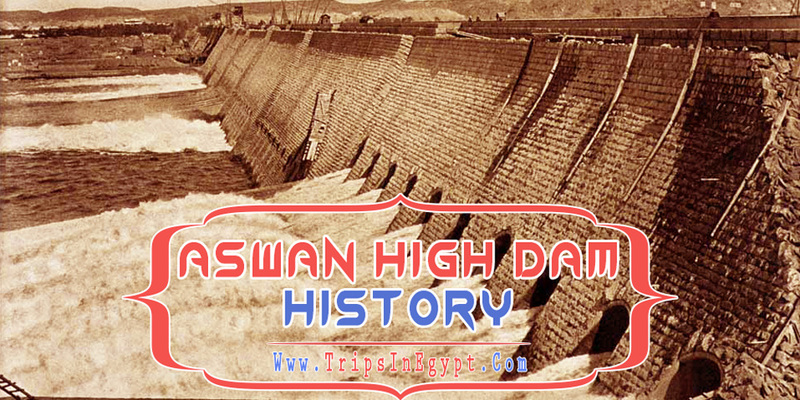 Aswan High Dam helped Egypt from the drought from 972–73 and 1983–87. Egypt was able to reclaim about 2.0 million Feddan because of the construction of the High Dam. The dam is able to power twelve generators each rated at 175 megawatts with a total of 2.1 gigawatts. Aswan Dam also improved the efficiency and the extension of the Hydropower stations in Old Aswan by regulating upstream flows. The Soviet Union has a huge contribution in constructing such a majestic dam as it provided the Egyptian government with money, skillful engineers, machines, and a lot of other things that made the construction of such a dam possible. As a result of such a great dam, Lake Nasser was created. More than 22 monuments and architectural complexes were threatened by flooding from Lake Nasser, including the great temples of Abu Simbel. Those monuments were preserved by the help of the UNESCO Nubia Campaign. That campaign also moved Philae, Kalabsha and Amada temples to different places to keep the treasures of the Ancient Egyptians safe. The Debod temple was relocated to Madrid. The Temple of Dendur was relocated to the Metropolitan Museum of Art of New York. The Temple of Taffeh was relocated to the Rijksmuseum van Oudheden of Leiden. The Temple of Ellesyia was relocated to the Museo Egizio of Turin. The temple of Ramses II at Aksha. The temple of Hatshepsut at Buhen. The temple of Khnum at Kumma. The tomb of the Nubian prince Djehuti at Debeira. The temples of Dedwen and Sesostris III at Semna. The granite columns from the Faras Cathedral. Unfortunately, the remaining archaeological sites like the Buhen fort or the cemetery of Fadrus have been flooded by Lake Nasser. The construction of the Aswan high dam had some negative impacts including the spread of Schistosomiasis. 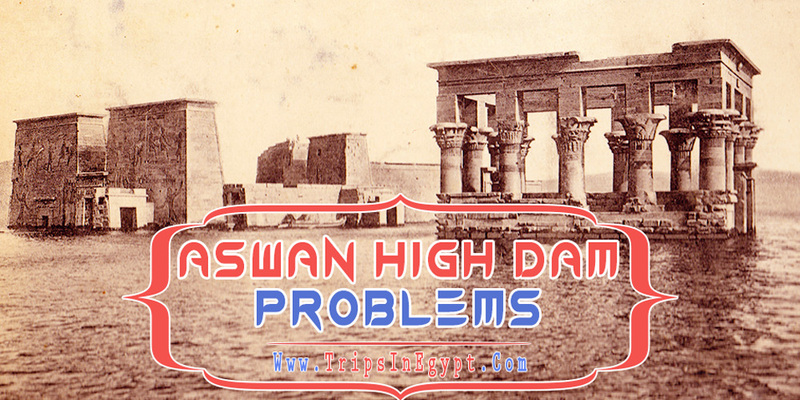 The second problem that resulted from the construction of the High Dam was the gradual decrease in the fertility which was mainly due to the dam’s complete control of the Nile’s annual flooding. We offer you some of our best Egypt tours packages that will give you the chance to visit such an exceptional dam in Aswan in addition to other fabulous highlights of Cairo, Luxor, Alexandria, Aswan besides your ability to board the best Egypt Nile cruises to tour around the great Egyptian Highlights with the best possible services and the most reasonable prices.